Can anyone tell me if we have poop testing here? I live in BNE and have passed that mythical age of 65. Apparently the Federal government do send out tests by mail. I twould pay to have a chat with your GP. Yes, I have reached that wonderful age where the Govt. sends out the poop test kit for Ca. I am inquiring about poop testing as talked about in “the clever guts diet”. Where the wonderful flora in out digestive system can be identified. I am doing my government funded poop test lol! I was checking this same thing over the weekend ( I am on the Gold Coast) and I came across tagc.com.au who are in Queensland. Will be asking my GP on Wednesday to see if she knows of them. They are in Brisbane I think so probably worth a call. Let me know if you find anything of interest. I am in Adelaide. If you have any luck with tagc.com.au, please let me know. 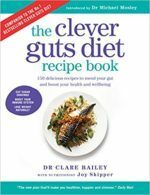 I have just finished the “Clever Guts Diet Book”, how fascinating. I too would be very interested in a testing facility was found in Australia. I am on the Sunshine Coast. I have just phoned NuriPATH. They will put you in touch with a medical practitioner who is registered with them to fill in a request form for the test. If you are wanting to go through your GP they will need to register your GP and send them the request forms. A CDSA Level 4 test is the most comprehensive @ $360. Results in approx 10 -14 days. At this stage I do not want to involve my GP so will leave it at the monment. If anyone hears of anyone else who tests please post. Have been to see my holistic doc and she recommended I have my food sensitivities checked so have done that. She has had great results with this test in eliminating IBS so I will let you all know in a month after the results are back and I start eliminating the culprits. I have also been trying to do the poop test. The one you mentioned does it inform you of what foods to eat or not to eat as it suggests in the Clever Guts . I have also been trying to do the poop test. The one you mentioned does it inform you of what foods to eat or not to eat as it suggests in the Clever Guts ? Does the CDSA Level 4 test analyse the microbiome in 2 weeks? I’d like to hear if anyone has a result from them yet, because after 6 weeks I still have no result from SmartDNA. The test cost me $330. Hi there, based in Melbourne. Just read book and keen to start. I’ve severe reflux, fructose malabsorption etc. Have lost faith in gastroentrologist. Will not entertain any diet issues other than “lose weight”. Easier said than done. Anyway any ideas of testing facility in Aust and any good holistic docs or gastros! I live in New Zealand and is poo testing available here or do I have to look overseas?